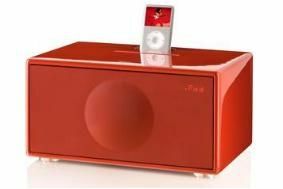 CEDIA UK EXPO 2009: Geneva unveils compact Model M iPod dock | What Hi-Fi? It has an integrated iPod dock connector, replacing the wired connection of the original Model M, and joins the larger XL and L models in offering the ability to play music from an iPod, CD or the built-in FM radio. The Model M is compatible with the Apple iPod Touch, iPhone, nano, Photo, Video, 3G, 4G, Mini and Classic iPods and includes a four-driver, 100W (4 x 25W RMS) stereo system. A patented technology called EmbracingSound allows two sets of drivers within the M Dock cabinet to reproduce a "true stereo soundstage", says Geneva. It's available in white, red or black lacquered finishes, or a real walnut veneer, for £699. A remote control, seven iPod dock adapters and 3.5mm adapter cable for connecting other MP3 players come as standard. We have a full review of the larger Geneva Model L system in the August issue of What Hi-Fi? Sound and Vision, on sale July 1st.